What sparked your interest in Bharatanatyam? I was born in Anuppanadi, a village near Madurai, which had a 200- to 300-year-old temple for the village deity. Right across it, there was a large 500-year-old peepal tree that seemed to be there only to give shade and let the children play in its shade. The village seemed to enjoy eternal spring, it was so lush and green. I grew up amidst vast spaces and large trees. My friend Shakti Baskar and I along with the other children would be out all day, playing. During festivals, we would climb the platform near the temple and dance to film music. Having seen only Madurai Chokkeshwarar, who has his right leg raised, I didn’t even know that Nataraja is depicted with the left leg up! That is how content we were with our life there. People who saw me dance encouraged me saying I must get proper training. Around that time, Guru Kittappa Pillai was given an award at the age of 84, and I read about him in the local newspaper. When Shakti and I ran away from home at the age of 13 on account of being transgender, I went to Guru Kittappa. The only thing I knew about him was that he was in Thanjavur. I didn’t know that he had trained famous dancers such as Vyjayanthimala Bali and Yamini Krishnamurthy. Did he accept you easily? Please tell us about your life with your guru. He made us wait a year! But that was only to test our genuineness. He accepted us as we were. Although we can say it was gurukula vasam, the truth is that we had nowhere else to go and he was kind enough to let us live with him. Shakti and I come from large families, and guruji’s family was also large. They all accepted us and treated us well. It made me realise that I had lost a family to gain this one. Living there and watching our guru teach all day helped us learn the nuances of the art in a way that a student who came in just for a few hours could not have. He was an enlightened soul, a siddha, and even his breath had a meaning. We had a proper, sampradaya (traditional) learning, and we learnt its value. Whenever we came to Chennai and told people who our guru was, they would step back in respect. I studied up to Plus 2 and also helped him with the classes. I got scholarship twice for studying dance and am a Senior Fellow now. All our emotional turmoil was channelled into our learning the art further and I am blessed to have learnt many rare compositions. We just kept learning without thinking much about performing. We thought of it as a source of living, living only to learn! We didn’t even have the ability to think. When he passed away at the age of 89 in 1999, we faced reality. We were clueless as to what next. From Thanjavur to Chennai, how did the journey happen? We came to Chennai in 2001 as there was not much scope for classical dance in other regions. Before that, if anyone had suggested Chennai, we would have laughed! We had no intentions of moving. Dancer Shobana Ramesh saw me perform in Coimbatore. Back then, we always lived in a shell, shunning company. The moment we completed our performance, we would go backstage and lock ourselves in. Shobana forced her way in and insisted that I must come to Chennai. We were appalled as Chennai was not even in our dreams. In Chennai, Revathi Sankaran (television personality) and her family helped. We have never asked for financial help from anyone, we were ready to work hard. They helped introduce us to different organisers, and our work spoke for us. The turning point came in 2002, when I performed a piece on Ambai (Devi) for IDA (International Dance Alliance). I choreographed the piece and poured all my emotions, travails, aspirations and dreams into it. I was an overnight sensation, and that opened many doors in India and abroad. We worked like demons, and Shakti has a big role to play in that. She ensures we lead a disciplined life. We are up by 4 a.m. for practice. Even in severe cold when we are abroad, even if one of us is unwell, we wake up. We may just chat, but we will be up. Being transgender, we live in fear and anxiety and think ten times before accepting anything. We don’t show the effort that goes into it, and we don’t use our identity as an excuse to get away with anything. You got the word Thirunangai recognised by the Tamil Nadu government. Can you tell us what it means and why you chose such a mode of address? My art had got recognition and I did not give much thought to anything else. 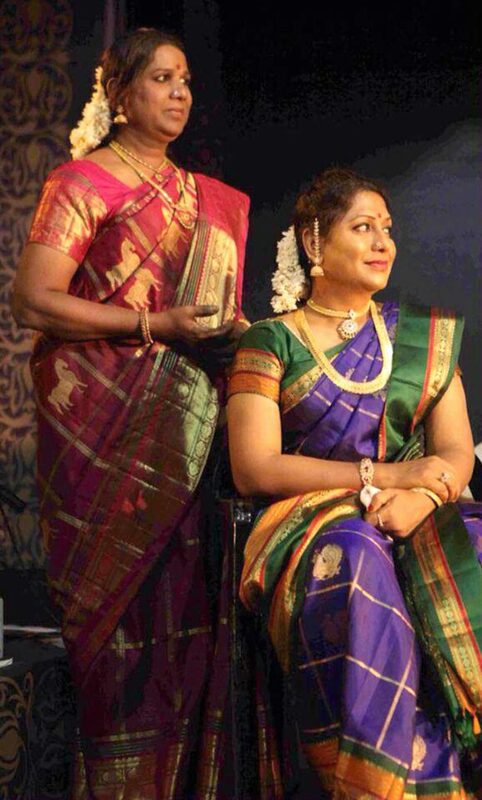 But once the organiser of a show in another city got to know I was a transgender only during the programme. In the interval when they were to felicitate me, he told me that he was very disappointed since he had assumed I was a woman. This hurt my pride. I love reading, so much so that I even read the tenders! That has opened a lot of doors for me. I think I have inherited this love of reading from my family. I had come across the word ‘Thirunangai’ in Tholkappiam (a work on the grammar of the Tamil language). One of Lord Vishnu’s devotees is called Thirumangai Azhwar, and in the Bhakti tradition, only the Supreme is the Purusha (masculine) and the Jivatma (the human soul) is the feminine. Thirunangai has both male and female words—Thiru meaning ‘mister’ and Nangai referring to girl. I got this word recognised by the Tamil Nadu government and use it openly so that anybody who wants to associate with us knows who we are.Just like we refer to people with a specific disability by that disability (blind, deaf), we are known by our anatomy. But my body is just a cloth for my soul. People behave cruelly and wait to see me break. When I don’t give in, they try to drive the knife in deeper. I have the pride characteristic of Madurai and have learnt to control my emotions, learnt to ignore taunts. Shakti is a big support then, telling me to ignore them. We have had to beg for programmes as this is our livelihood. We are not from the upper caste and our gender is a confusion. Today, I am content to know that such opportunities fall into our laps. I have been honoured with the Sangeet Natak Akademi award, and am the only one to have been recognised as ‘Outstanding Artiste’ twice by ICCR (Indian Council for Cultural Relations). My status was upgraded by Doordarshan from ‘B’ to ‘A’ automatically. We don’t try to use the ‘Thirunangai’ status to get recognition; it is purely my dedication to my art that has earned me the accolades. I am my own inspiration. In the Thirukkural it is said, ‘No good or bad thing will come to us through others.’ I try to evaluate myself constantly. If something goes wrong, I try to see what I could have done differently to avoid it. God has chosen me for something, and I feel fulfilled. I have no desires, and treasure everything. I want to be a student till the end of my life and so I keep learning. Working with youngsters motivates me. I give lectures in universities and colleges and see instant feedback. It gives immense pleasure to sow a seed and watch it sprout. I have a trust and whatever we earned goes as a contribution to the society. We use 85 percent of it for Thirunangai and the remaining for struggling artistes. What about the family you left so many years ago? We are back together. The current generation is more understanding and sensitive. 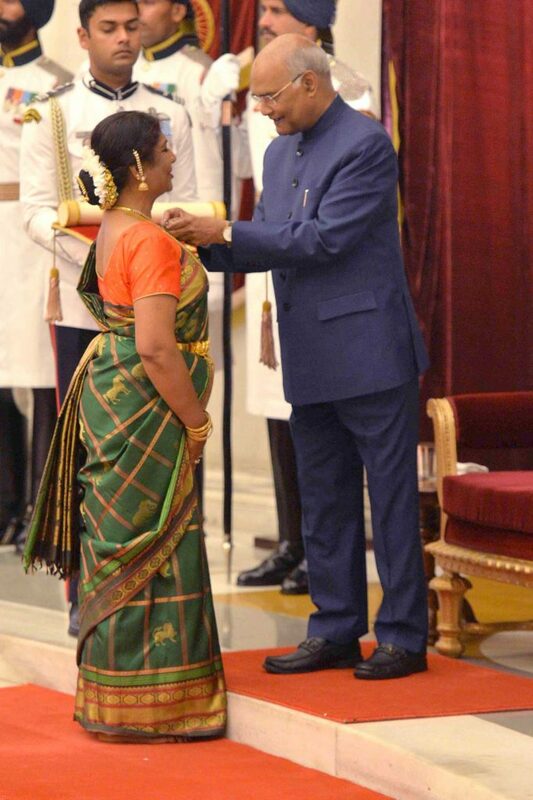 In fact, it is they who celebrated my receiving the Padma Shri very grandly.